​The Stagnaro Bros. story begins in the tiny fishing village of Riva Trigoso, located in the northern Italian province of Genoa. It was from here in 1913 that Matteo Stagnaro left an impoverished Italy for a better life in the New World. He made his way from Ellis Island to Santa Cruz, a coastal town reminiscent of his home, where he joined a group of fellow Italian immigrants and fished the Bay Area waters from San Francisco to Monterey. 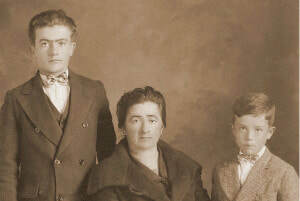 ​By 1918, Matteo managed to bring his wife Teresa and their young son Giovanni to join him in Santa Cruz. They settled into a small house on Gharkey Street, on the west side of town, two blocks from the ocean. Their second son, Ernesto, was born there in 1920. The little family humbly prospered, sending the money they made to relatives in Italy for safekeeping. They dreamed of returning to their home along the sparkling Ligurian Sea, where loved ones lived within shouting distance, and geraniums trailed from the window boxes of colorful apartments. But it was not to be. Matteo came down with pneumonia and sadly succumbed to the disease. Teresa contacted their relatives to ask for the money they had saved, but it was gone. World War I had left Italy decimated and its people starving. Teresa Stagnaro was now alone in a foreign country with twelve year-old Giovanni and five year-old Ernesto. To keep her small family together, she went to work for the local cannery. Giovanni and little Ernesto sold newspapers on the wharf. Eventually, Teresa’s sister Carolina Castagnola came from Italy to help, and the Stagnaro family survived. In 1937, with a small loan from his mother, Giovanni opened a small seafood market and cocktail room on the Municipal Wharf. When the war was over, he was joined in ownership by his brother Ernesto. Their industriousness kept the new business alive throughout the Great Depression and World War II. 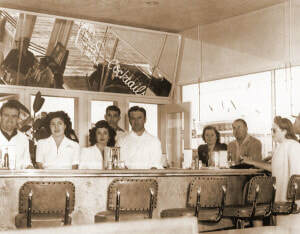 With the brothers’ perseverance, and the fortitude of their wives Mamie and Virginia, they expanded and added a restaurant and wholesale component to their company by 1947. 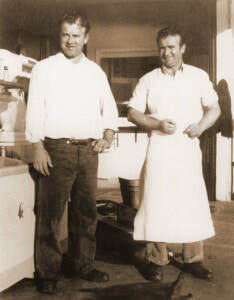 The brother’s remained the co-owners and operators until Giovanni’s death in 2004. In 2007, Mamie, Ernie, and Virginia Stagnaro, together with their daughters, grandchildren, and great-grandchildren, celebrated the company’s 70th anniversary. Today, Stagnaro Bros. proudly employs nine family members who strive to continue the traditions of hard work and family values while providing the same quality service and the largest selection of fresh and frozen seafood in the county to the community. 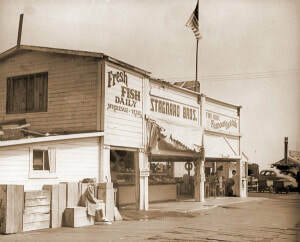 Not to be confused with other establishments that may display the same family surname, Stagnaro Bros. is still located at the outer end of the Santa Cruz Municipal Wharf.